Okay so I’m not always known for my modesty. There are some things I am really good at, like standardized test taking and pretending to be sweet as pie so my customers love me and baking most things (but not macarons because those are my nemesis). 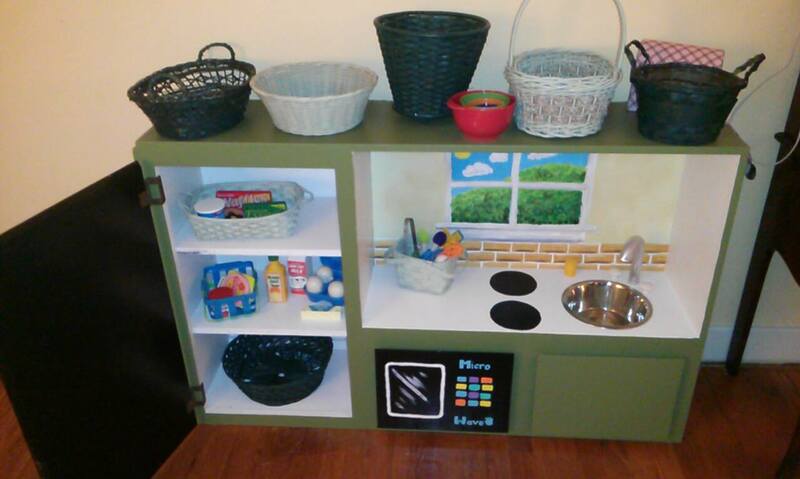 But even with that in mind, I have to say that I am REALLY good at making a play kitchen for my niece. 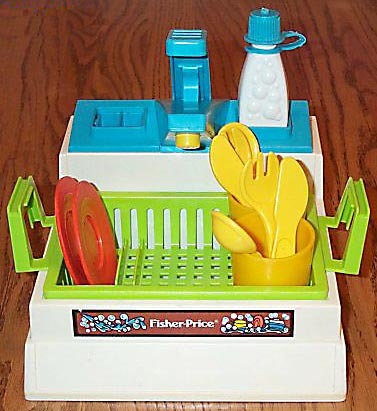 I had the Fisher Price sink and stove and such as a kid. I played in the housekeeping station in kindergarten. I received a china tea set one year for Christmas. My dolls were well fed. It took a long time for me to give up tea parties and playing house. It felt like the right kind of play. In college I learned that my instincts were correct – this kind of play, which was always my favorite, is an important part of how young children develop an understanding of the world around them. They learn to socialize and to work out problems by mimicking the actions and words of adults they observe. It’s not just adorable when a tiny tot offers you an invisible cup of hot cocoa; it’s an important social transaction and practice making appropriate interactions with others. I love being an auntie and I love to make stuff, so this project was a no-brainer. 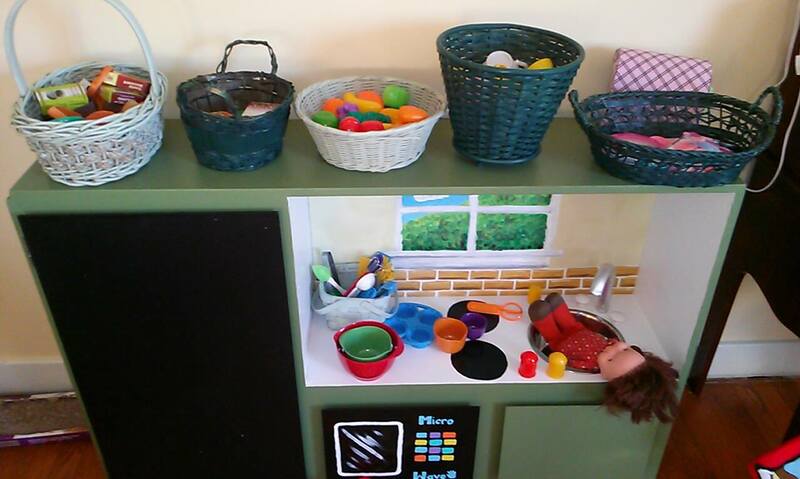 I took my niece on a trip downtown and in the consignment store she fell in love with the plastic toy kitchen the store owner keeps out to accommodate the kiddies while their spending-savvy mommies shop. My niece refused to leave the store. She threw a tantrum because she wanted so badly to microwave another pretend french fry. 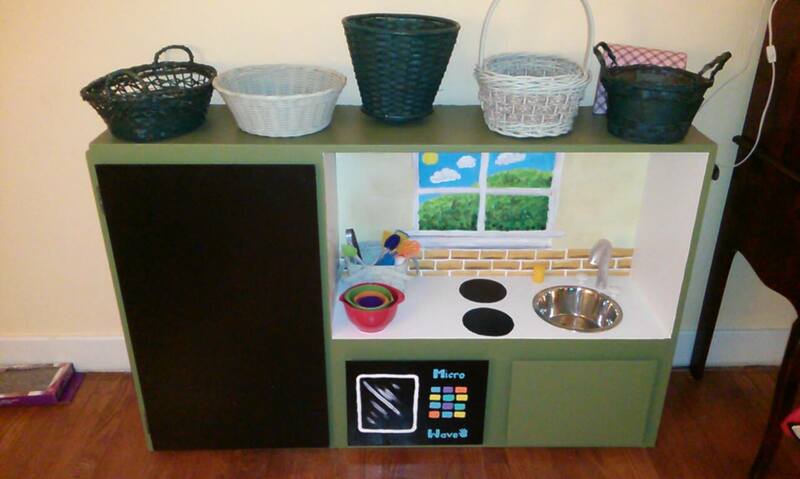 Obviously I had to figure out how to get a play kitchen for her! With Chuck’s help, of course. My first stop was the Habitat for Humanity Re-Store. 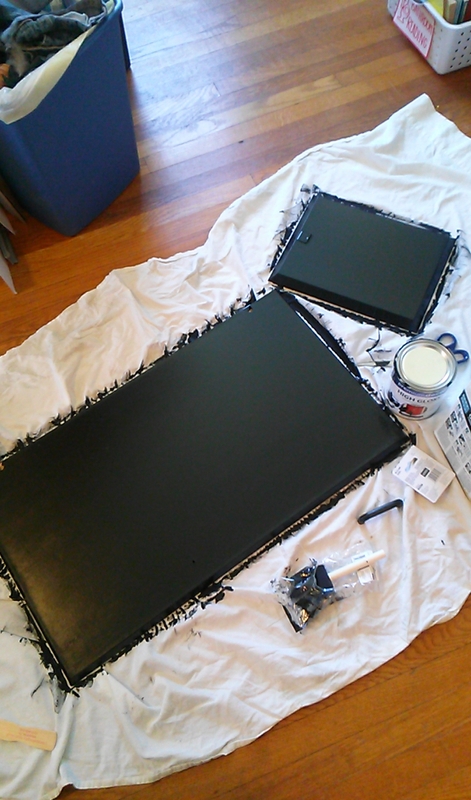 This place is a gold mine for DIY-ers! Any leftover and still functioning building materials are accepted as donations and then sold at low cost to raise money for Habitat. In the past I have purchase shingles for our new shed, paint, tiles, and even unused tools. You can clearly see the fridge, oven, and sink, right? 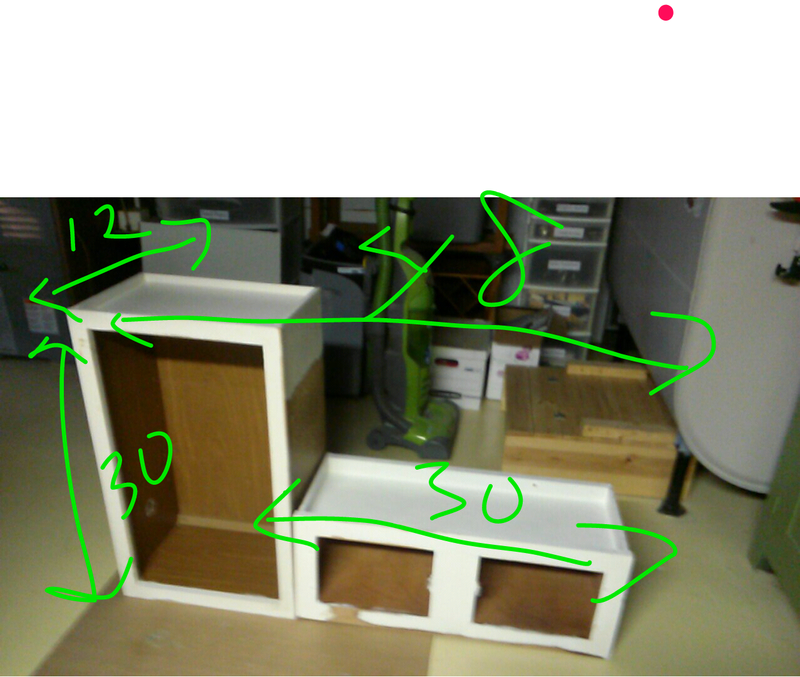 I picked up some MDF meant to be shelving at Lowes and Chuck found some unused paneling in his workshop. 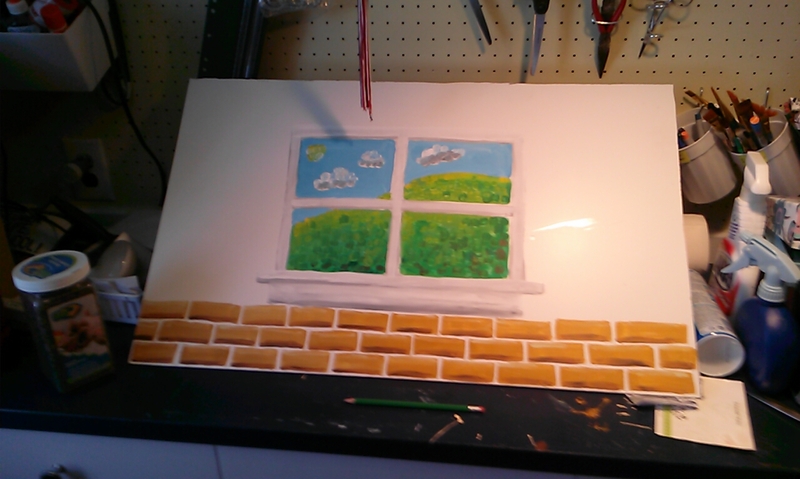 While he sanded the cabinets and jigged out a hole for the dog dish –turned –sink, I painted a mural for the backsplash using my acrylics and sealed the image with clear spray paint. 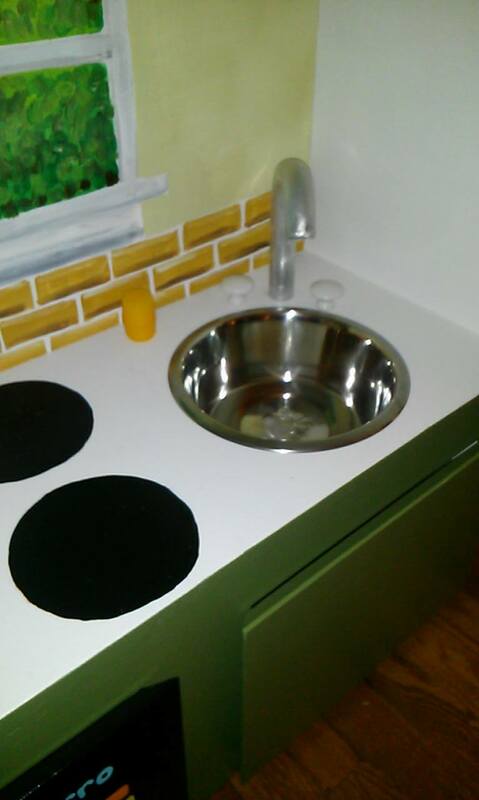 sink made from a dog dish. I think she has a nicer backsplash than I do! Once the whole piece was together, Chuck painted the kitchen while I painted the “fridge” with homemade chalkboard paint and I freehanded the “microwave.” I found baskets at a thrift shop and spray painted them in various shades of green. The fridge is painted with chalkboard paint! Ha ha I am hilarious, I know. The finishing touch was telling everyone what we made so they could help fill it out. Auntie Alice and Uncle “Ded” bought some adorable Melissa and Doug play food, Auntie Emmi found perfect miniature baking supplies, while Mommy bought a princess tea set, providing props for play time. A friend recently posted this article on the importance of play in a child’s life. It sort of boggles my mind that someone would question the healthiness of a child’s imagination, but the article sort of take a tone of defense, doesn’t it? I always assumed that most adults are just too busy/lazy to encourage imaginative play, but I guess some people discourage it, too. So sad! The niece-let is happy to play with her kitchen and it has been encouraged to bring her toys to the real kitchen to “bake” with flour, dried beans, play dough, etc. She also uses her tiny whisks to stir eggs whenever we crack them into a bowl. Baby dolls under her care are sated and I’m pretty sure those pretend cookies have calories because I think I’ve gained weight. 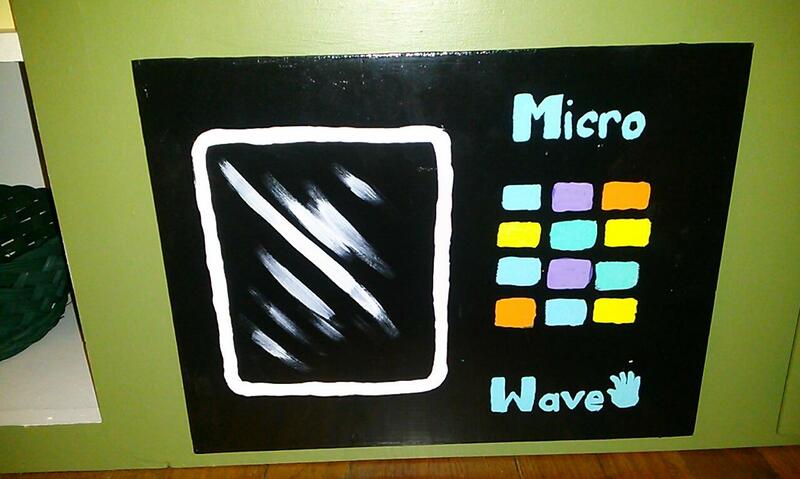 This entry was posted in Creativity, Family, nieces and tagged crafting, family, kitchen. Bookmark the permalink.